Welcome to our Wonderful Warm Wisconsin Orthodox Synagogue. Anshe Sfard Kehillat Torah (ASKT) is an Orthodox synagogue, located within an eruv, in the North Shore Milwaukee suburb of Glendale, Wisconsin. 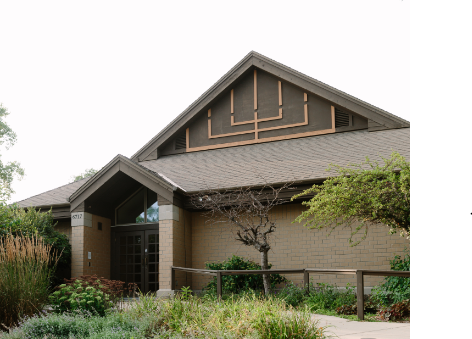 Our shul was founded in 1986 by 17 families and has since grown to 100 families; many are Shabbat observers who live in close proximity to the shul. We have a daily minyan for Shacharit. Mincha/Maariv meets during all seasons, except for the winter when there is late Maariv instead. Classes, for both men and women, are taught by our rabbi as well as visiting rabbis and community members. We also have well-attended, regular scholar-in-residence programs and many social activities and learning programs, including a women’s monthly Tehillim group. In our participatory shul, members are actively involved in services through leading davening and reading the Torah, and are innovative in creating programming and organizing holiday events. As a Zionistic shul, we incorporate prayers for the IDF and the State of Israel into our davening, and we participate in community-wide Yom Yerushalayim and Yom Ha'atzmaut celebrations. One of the most impressive things about ASKT is our palpable sense of community. Besides celebrating Shabbat, holidays and Jewish lifecycles together, we are always here for one another. Whether it is a prayer for good health, help finding a new job, babysitting information or milk from the grocery store, the culture in our community is to help without hesitation. Rabbi Wes Kalmar's Yom Ha'atzmaut Address at City Hall"The Israeli and American Dream"
This Year, 2018-2019 the class is Learning the Book of Shmuel Bet / Samuel - Entitled David - King of Israel: "The Beginning of His Reign"